News GET A FREE QUOTE! Are shipping containers wind and watertight? Yes, very. Shipping containers are made for transporting goods across the oceans – often on decks of ships. They have heavy duty rubber door seals which keep out the elements. Used shipping containers sold into the storage and the re-use market can have damaged door seals or damage to the steel roof or sides but most companies selling used containers will ensure that they are inspected and repaired before they are delivered or released. 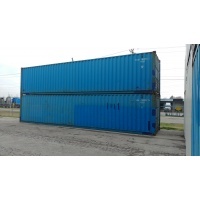 There are low grade containers around which have usually been sold and used before and then sold on again. 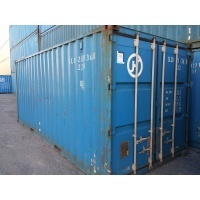 These containers will often be at least 15 to 20 years old and whilst some of this age can be in very good condition there is a risk that there may be corrosion or damage to doors, sides, roof etc. It is a case of ‘let the buyer beware’ and ‘you get what you pay for’. 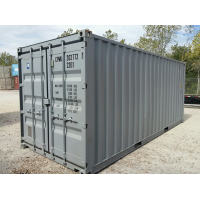 There is a strong market for new and used shipping containers so expect to pay a fair market price for a good wind and watertight container. How do I get my container delivered? Delivery is usually booked at time of order and a container will usually be delivered on a flat bed truck which will roll-back the container to ground where required. Sometimes a container will be delivered on an articulated trailer and the receiver will need to arrange for the container to be lifted to the ground, e.g. with a forklift truck. This should be clarified at time of order. Are shipping containers affected by condensation? Any metal surface that is exposed to temperature variations will inevitably suffer from condensation but there are ways to mitigate against this. Empiracle evidence shows that the corrugated construction of modern containers (compared with flat roofs of the early containers) helps prevent condensation and no doubt the paint used also helps. The roof of a new container is slightly bowed to give an upward arc so that external water does not lie on the roof. Where water lies on the roof of a container it lowers the temperature of the metal and causes condensation on the opposite side of the steel. Condensation is more likely to occur on used containers that have roof dents where water gathers. Condensation is more likely to occur when a container is sat on cold, damp ground such as exposed soil or a flooded area; the cold from the earth permeates the container above and reduces the temperature thus causing condensation. All air has moisture in it and it is this that condenses when the temperature drops so reducing the amount of moisture in the air inside a container will prevent condensation; this can be done by ensuring items are only placed in a container on a dry day if possible; a container can be vented on a dry day by opening the doors to allow damp air to circulate out of the container and be reduced by dryer air. Also, an item called Absorpole can be placed inside a container to absorb moisture from the air over a period of time. Very good question! Shipping containers are the big steel boxes that sit on the back of trucks, trains and ships and are used for importing and exporting goods. They are so well designed and built and last such a long time that they have found an alternative use for short-term and long-term storage and they are very secure. They are also converted into all sorts of things including offices, cabins, mess-rooms, control rooms, sports changing rooms etc. etc. Standard shipping containers are usually 8ft wide by 8ft 6ins high by 20ft or 40ft long (though there are variations). 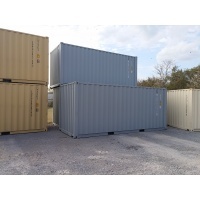 ‘Steel’ containers (as opposed to ‘shipping’ containers) can also be different sizes such as 10ft, 12ft or 30ft and are often formed by cutting down a shipping container to suit. 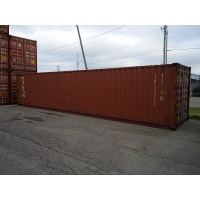 There are 20ft steel containers around that are not suitable for shipping and are generally of a lower quality. Shipping containers meet a specific design and build standard which means they can be used for shipping. They are also known as ISO (International Standards Organisation) containers. Do shipping containers require maintenance? Shipping containers require relatively little maintenance. A new shipping container going straight into a secure storage use will require hardly any maintenance at all and this is why we recommend buying a new one if you can justify it. The steel work will barely deteriorate because the steel is of high quality and the paint work is excellent; you can realistically expect a 50 year life of a new container used for storage. The door hinges and locking bars may require oiling every couple of years but that takes only ten minutes. The door seals will deteriorate but they will last at least ten years depending on conditions and probably over twice as long as that. 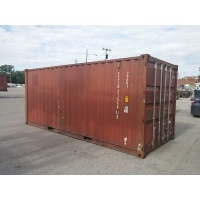 Used containers require the same attention to the doors and also there may be small dents or corroded areas that may need repainting from time to time and possibly even a patch welded on. Painting a shipping container to maintain appearance is quite straight forward but does not need to be done often. Yes. We have delivered across the United States. Rates vary. How old is a used shipping container? Speaking generally the shipping lines release shipping containers for re-sale after they have been written down on their books for about ten years. So a container straight out of shipping will likely be at least ten years old. There are also one-time shipping only used once before they are offered to public. Our grading guidelines are as follows: Grade B-Used are containers from 1999 to 2004, Grade A-Used is from 2006 to 2010 and Grade A-New is usually 90 days or less. What is the best surface for positioning a shipping container? It is best to site a container on a dry level surface such as concrete, tarmac or paving but this is not always possible. It follows that a damp, soft and uneven surface is the worst type of surface. It is most important that the surface is level so that the doors open and close correctly. The weight of a shipping container is borne through its corners and therefore spacers such as paving stones or timbers can be placed under the corners to level the container even on very uneven ground where different numbers of paving stones or timbers can be used for each corner. 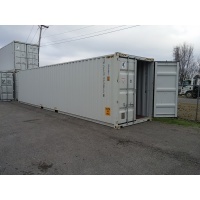 Shipping containers are very versatile and are of very strong construction and will sit satisfactorily even on non-ideal surfaces such as grass for many years. Do I need planning permission to site a container? Shipping containers are categorised as temporary relocatable buildings and for many applications they do not need planning permission. However if they are to be placed in a sensitive area or are to be in location long-term then planning permission may be required. Planning authorities always say that it is best to enquire if permission is required. Do you modify shipping containers? Yes we do, we have long experience of modifying containers for many uses including offices, mess-cabins, control rooms, offshore use, stores and many bespoke applications. We can readily supply containers with basic modifications – such as unusual sizes, windows fitted, partitions, personnel doors etc. nationally. More unusual or bespoke modifications are carried out in our home areas and this will affect the price when it comes to delivery. What is the expected life of a shipping container? Shipping containers – especially more recent ones which are of high manufactured quality – are very robust and well over-specified for use as storage. Storage is unlikely to submit a shipping container to the rigours of sea transport with cargo. A new shipping container put directly into storage use could be expected to last up to 50 years. Obviously this depends on many factors such as the type of use they are put to or if the original structure or paint work has been disturbed as a result of modifications. A used container will last less time because it will already have had a life at sea and in transport but they will still give very good service and there is no reason why a good standard used container cannot last 20 years. Life expectancy of a used container will depend mainly on the condition of the doors and the roof. 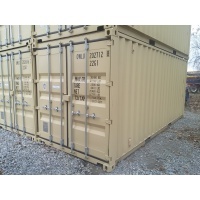 Why buy from Shipping Container Depot? Because we work hard to understand your needs and supply you with the container you are looking for. If needed we will spend time on the phone with you ensuring we understand details but on the other hand if you need a quick straight forward order we will respond to that and deliver quickly. Some people want a basic container at a low price for short term or a specific use and some want one to last them for many years - we can give advice and deliver both. We have many years’ experience in sourcing containers from all sorts of contacts and many years’ experience of delivering just what our customers want including for all sorts of bespoke applications. 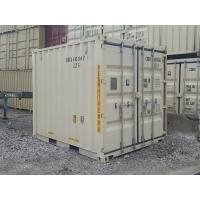 We can help you design a container for an application which could be industrial or domestic. And in addition we give good customer service (that’s what feedback tells us) and we are flexible on payment terms when we can be and we respond to after sales issues that may arise. Do you buy back containers? Yes we do. Please bear in mind when we quote a buy-back price that we have to consider transport costs and the amount of time the container will be in storage with us before re-sale. There are occasions when we are unable to buy-back due to location, i.e. it may be too far for it to be viable to take the container back to one of our yards. How heavy are shipping containers? There are a number of ways of quoting a shipping container weight. The Tare weight is the weight of a container without contents and the Gross weight is the weight of the container including the maximum weight of contents (Gross weight = Tare weight + weight of contents). Typical Tare weights (weight empty) are 20ft – 2.5 tons, 30ft – 3.0 tons, 40ft – 4.0 tons (approx.). Typical Gross weights (weight empty + contents) are 20ft – 67,196lbs, 40ft – 100,000lbs. How secure are shipping containers? 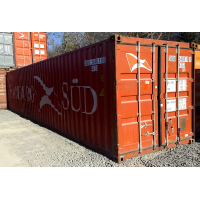 Shipping containers are made secure by fitting a lock to the doors. There are a number of ways to do this; the simplest is to put a padlock through the customs tag hole in the right hand door handle. This is fine if all you require is a preventative measure to stop anyone wandering in or accessing easily but a lock fitted this way is easily knocked off with a sharp blow of a hammer which breaks the weld of the tab that the lock fits through. For better security is it best to fit a steel hasp (also known as a locking box) across the join in the two doors at about chest height. A hasp is basically a steel shroud that covers a lock and makes it difficult to tamper with. A universal locking box will accommodate most types of padlock but it is also possible to fit a specific locking box to fit some locks only. Typical makes and types of lock used are No.16 Mul T Lock and a CISA bolt lock. These aren’t cheap but they are the best for the job and are very secure. With one of these types of lock fitted a container can only be broken into with heavy duty equipment such as burning or grinding gear and then it will take time and make a lot of noise. What are shipping containers made of? Shipping containers are invariably made of steel – hi-quality Corten steel - and have a hardwood floor. However there are variations and there are aluminium ones around. $1,900.00 each 40' STANDARDS ! NON LOGO- CARGOWORTHY!! $1,950.00 each 20' grade a used JUST IN! $2,950.00 each NEW GREY 1 TRIP! VERY NICE !! $2,700.00 each 10' CALL FOR CUSTOM ORDERING !! "Family Owned and Operated Since 1987"